Narcissism might be fun for a little while, but the fun definitely won't last. Somebody's going to get angry, either the narcissist or the people around them. So, whether it's you or somebody else that is narcissistic, there's going to be some conflict and possible abusiveness sooner or later. The reason I say it "might be fun for a little while" is that feeling good about yourself actually does feel good. And self love is a good thing, as long as it's in balance with wisdom and responsibility. This is where you're going to find out what a narcissist is, how to understand this problem of narcissism, and what to do about it. And, you will learn some things about healthy self love, and how you can develop that for yourself and your family. Basically, a narcissist has too much self-esteem, and not enough esteem for others. Somebody with Narcissistic Personality Disorder (NPD) has an inflated sense of self-importance, shows no empathy for others, and is overly sensitive to criticism. Mild narcissism can actually be helpful to the narcissistic person, because it basically means they're not so worried about what others think of them. This can be a very good thing in some cases. For example, a depressed person with low self-esteem who thinks nobody likes her could use a little (and I emphasize, a little) narcissism. Most people have low self-esteem--as a matter of fact, one of the things that can cause extreme narcissistic tendencies is an extremely poor self-image. In summary, you might say that we all need a little narcissism, which you might call "healthy selfishness." You want to look for a balance between too much and too little self importance, self-esteem and self love. Causes of NPD can range from one extreme to the other. Spoiling a child can easily lead her to believe she is entitled to special or better treatment than others. What Makes A Narcissist Angry? The answer is really pretty easy--the narcissist gets angry when he can't have his way. The narcissist basically thinks the world should stand at his feet and wait for instructions. Well, you've probably noticed that the world just isn't going to do that. The narcissist also wants to be adored and appreciated, and often is. Narcissists are usually superstars of one kind or another, but generally can't get quite enough worship and adoration to suit their inflated ego needs--and there comes the anger. Nobody likes criticism, or being ignored. But if you have narcissistic tendencies, that will literally drive you through the roof. While a narcissist might normally be happier than most people, she can fly into anger very quickly and easily in some cases. Keep in mind we're talking about human beings here, so none of this applies to everyone across the board. How Does A Narcissist Make You Angry? This part is easy. First, however, I want to say that you're responsible for your anger, no matter how anyone else acts. Talking about himself all of the time, and when you bring up something from your own experience, he will take the subject right back to him. Being very loving and gracious to you much of the time, then turning on a dime and attacking, ignoring or rejecting you without a second thought. Acting like your best friend in the world, until you really need something--then he might be nowhere to be found. Acting in general like the world owes her something, and staying irritated at other people most of the time. Being totally unwilling to take responsibility for his own actions and any pain he might be causing, being all too ready to blame others (whom he considers to be inferior to him). Sound like anybody you know? Of course! The world is full of narcissism, and there's a little bit in every one of us. The thing is, we are better off with a little bit than a lot. Now let's get to the part about what you can do about this problem. What Can I Do About Narcissism? What did I learn about being male/female--did I get the message that one was better than the other? Did I get any feeling that I was superior or inferior to others in any way? Did I ever feel like others owed me attention, love or care? Was I ever adored, or treated like I was special? You are as good as the best, and no better than the rest. You are totally unique and special, and so is everyone else. This audio CD progam will help you learn healthy self love, and heal your narcissism and anger. Practice the journaling exercises on this page on a daily basis. This will help you get in touch with your personal history and the background of any narcissistic tendencies you may have. If you have any kind of trauma (painful, upsetting, sad, frightening, shaming or lonely times), then use these imagery processes for emotional healing, and that will help you to see yourself for who you really are--which is good. Learn and practice the Empathy Skills you will find on this page with someone close to you. Role play some tough conversations, where your friend plays the role of the other person. Keep practicing until you are successful at "putting yourself in the other person's shoes" and communicating your empathy to them. Think of all of the people in your life that bother or baffle you the most. Now write their "story" from their viewpoint. In other words, write their viewpoint on things and people in their lives, as if you were them. These last two steps will help you build empathy, which is the best known cure for narcissism. The very best thing you can do to heal your relationship with a narcissist is to shift your focus from them to yourself. In other words, I'm suggesting you "mind your own business" in the very best sense of that phrase. In other words, let the narcissists be, and let them have the life and the experiences they are creating for themselves. You can't fix anybody, and your efforts to fix or change anyone will only make the situation worse. Make sure you are loving yourself enough. Sometimes we are drawn to people with too much self love because we don't have enough of our own. 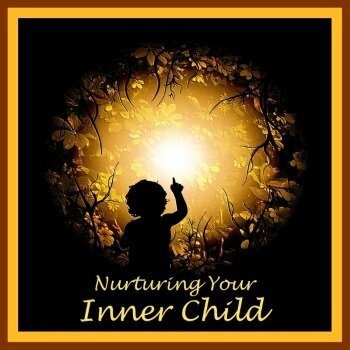 Nurturing Your Inner Child is an audio CD or download program that will help you to heal emotionally and love yourself in new and deeper ways than ever before. It is important that you put yourself first in your priorities. Narcissistic people will expect you to put them first, and since you are in relationship with one of them, you have probably been doing that. You have to love yourself first. This will help the narcissist to get her feet back on the ground. When you are with your narcissistic friend, just love him. Love him for who he really is, not who he thinks he is. Enjoy his quirks and foibles, and accept him as he is. Just have fun with it all. That's your job, and that will help. The more relaxed you are, the less the other person will feel she has to perform or prove anything. Keep your own feet on the ground, by attending to menial tasks, taking care of your own health, and minding your own business. This provides a good example for the narcissist (which of course she can choose to ignore or follow), and can help to prevent narcissism. 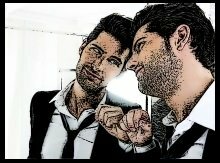 Learn much more about narcissism from this resource. P.S. NPD is a pretty big problem, but as I mentioned above, we all have a little narcissism. Look for balance. Make every effort to enjoy your life!